Yes, Stanley Fish is a Jew. In the latest Opinionator commentary of the Times, Fish asked, "What's Up With the Jews?" and then went on the list many dramatic news stories of late related to Jewish people. That's just the point, and the one that Fish does not make. We Jews are a dramatic people. The Bible tells us that we are dramatic, that God selected us to star in the great drama of human history. And we continue to live up to that assigned role. Fish cannot bring himself to say just that. He circumlocutes with assertions like this, "...the Jew as a cultural/ historical figure is oversaturated, which means that the meanings that accrue to him (or her, but mostly him) are in excess of any empirical record and accumulate like barnacles without any regard for the law of contradiction. Attitudes, especially negative ones, toward Jews flourish whether there are Jews around or not." Ah well, he is Stanley Fish, the Times' dramatic opinionator and he is authorized (by the gods of journalism) to say these things. He once was a noted hotshot deconstructionist who caused consternation at Duke University. Fish offers us more than opinions. He reports on court cases and decisions, facts and philosophers. He is quite a learned guy, an American literary theorist, legal scholar and a true public intellectual, worth reading. The world did not end last Saturday as one religious leader predicted. But surely there are signs that we are living in the messianic end of days, e.g., a funny film about Talmud professors at Hebrew University has won an award at the Cannes Film Festival. Israeli film director Joseph Cedar clinched the best screenplay award at the Cannes Film Festival for his film, Footnote. Footnote is a drama-comedy about the rivalry between a father and son who are competing Talmud scholars at the Hebrew University in Jerusalem. The 42-year-old Cedar had already left France before the prizes were announced, and though called back for the ceremony did not make it in time to receive his award. Footnote is scheduled to open in Israel on June 2. Sony Classics bought the rights to distribute the film internationally. No we don't think that New York Times writer David Pogue is a Jew. David Pogue, Yale '85, is the weekly personal-technology columnist for the New York Times and an award-winning tech correspondent. With 3 million books in print, he is also one of the world's bestselling how-to authors. He wrote or co-wrote seven books in the "for Dummies" series. He is also involved in an bitter divorce that has taken an ironic turn. Pogue, the man who wrote many columns and a book about the iPhone and its technology ("iPhone: The Missing Manual"), has allegedly hit his wife with an iPhone. There is definitely not an app for allegedly bonking your soon-to-be ex-wife in the head with your iPhone. And the story only gets stranger from there. Professor Miryam Wahrman (our sister) has won the New Jersey Society of Professional Journalists award, First Place, in Health, Science, Technology and Environment, for my article on Aphasia. First Place: Miryam Wahrman, The Jewish Standard, “Aphasia” . An interesting and informative article on a health problem that most of the general public never even heard of. Wahrman does a good job of explaining what it is, how it affects individuals and the treatment available at a local center. In the Times Book Review essay (Peddling Your Prose) this week Neal Pollack discusses self publishing his new book, Jewball . Publishers, start quaking. This is the wave of the present. Efraim Zuroff writes in the Forward ("Hunting Demjanjuk: The End of a Decades-Long Case and What It Means") about the significance of the Demjanjuk verdict in Germany. Demjanjuk’s conviction marks the first time that a German court has found a suspected Holocaust perpetrator guilty without any evidence of a specific crime committed by the defendant, other than service in a death camp. As a Holocaust historian, I can easily justify such a decision. Imagine, though, what a profound impact such an exhibition of judicial will could have had on previous trials of Nazi war criminals and other cases that were never prosecuted if this standard of proof had been applied. So now the question is: Will this verdict serve as a precedent that can pave the way for additional prosecutions? We say bravo to the Forward's blogger/columnist Elana Maryles Sztokman. She rebuts Rabbi Dr. Yehuda “Ronnie” Warburg's unfortunate defense of gender segregation on public buses in Israel in, "The Modern Orthodox Case for Gender Segregation on Public Buses." By the same token we do not applaud Rabbi Warburg, whose article "THE PRACTICE OF GENDER SEPARATION ON BUSES IN THE ULTRA-ORTHODOX COMMUNITY IN ISRAEL: A VIEW FROM THE LIBERAL CATHEDRAL" was published in Tradition magazine by the Rabbinic Council of America. You can download the article here from the Center for the Jewish Future of Yeshiva University as a PDF file. Rabbi Warburg describes himself as an Orthodox religious judge, i.e., "a dayyan in Chassidic, Modern Orthodox and Yeshiva communities in New York and New Jersey." We find the article to be a major embarrassment to Judaism, to Orthodox Judaism, to the RCA and to Yeshiva University. The article lacks rigor, logic and sound judgment. It justifies on specious grounds actions by Orthodox Jews that are at the least biased and misogynist and in our estimation that are perversions hiding behind the veil of our religion. We implore the Yeshiva University Torah Online web site to remove the article from the Internet. Film Depicts Hebrew U Talmud Professors as "Stubborn Academics on an Epic Scale"
“I met stubborn academics on an epic scale, people who had been working on an esoteric, obscure area of research for their entire life, afraid to complete it because there might be a mistake somewhere and as a result never publishing anything, and rivalries that had been going on for generations, that were violent and harsh, really beyond anything I had heard of,” he told reporters. Israeli director Joseph Cedar, whose film about the army withdrawal from southern Lebanon garnered an Oscar nomination, said he was looking inward with his current Cannes entry. Footnote, one of 20 features vying for the Palme d’Or at the world’s biggest film festival, tells the story of a father-son pair of Talmudic scholars locked in a decades-long rivalry. Set in the rarefied world of academia, the film is a far cry from the gritty realism of Beaufort, his 2007 soldier movie which captured the best director prize at the Berlin film festival and was shortlisted for an Academy Award. Mr Cedar said the story of an embittered researcher who sees himself as a purist rejected by the establishment and his relationship with his ambitious son arose during time he spent with the Talmud department of Hebrew University. Is Israeli Writer-Director Joseph Cedar Jewish? Yes, Israeli writer-director Joseph Cedar is a Jew. According to the LA Times, he is a Sabbath-observant Jew whose family made aliyah from New York City when he was a child. It is somehow appropriate that Cedar's Sabbath observance played a part in the interview situation, because "Footnote" is about a pair of competitive scholars of the Talmud, the central document of the Jewish religious tradition, rival academics who just happen to be a misanthropic father (Shlomo Bar Aba) and his gregarious son (Lior Ashkenazi). "When you see a Chinese film, you often feel it is rooted in some kind of ancient Chinese tradition," Cedar says. "The Talmud is our primary text, our tradition. It's something I want to deal with if I am making movies in Israel." Though Cedar's father, the celebrated scientist Haim Cedar, teaches at Jerusalem's Hebrew University, the filmmaker wasn't initially familiar with that school's Talmud department, the setting for his film. "But once I began hearing stories," he says, "I fell in love with it. "It's known for being the smallest and toughest department at the university. There are stories of epic rivalries, of people being stubborn in a way that is concrete solid, where you don't compromise on anything ever. These are people who have dedicated their lives to something esoteric, and they've done it with the drive of Julius Caesar." There are many examples of successful film directors and actors who make a strongly Jewish theme film as soon as they reach a level of success that makes them confident and independent enough to pull it off. It shows how powerful Jewish identity can be for creative people. It's almost as if they can hardly wait to proudly say, "I made it, I'm creative, I'm successful, I'm Jewish." Is the Polara Golf Ball Kosher? No, the USGA "rabbis" have declared the Polara golf ball is treif, it is not kosher, as the Times reports. The ball has special dimples that violate the rules. "Polara Golf claims to have engineered a ball that will fly straight and resist the most stubborn slice or hook, at least 75 percent of the time." The Times (Teeing Up a Duffer Debate, By DON VAN NATTA Jr.) actually says, "...there is nothing kosher about the ball." 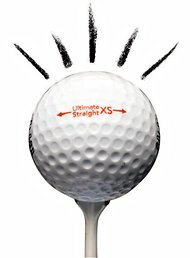 The United States Golf Association has already declared the Polara illegal, and there is nothing kosher about the ball. Even its miniaturized arrow flouts the rules. To point the arrow so the ball takes flight in the correct direction, a player needs to move it as it sits on the fairway. That in itself is illegal. We don't ever hook or slice our shots... so we have no interest in, or use for, this new illegal golf ball. "There are things that are more important than the truth." Who would ever believe that a film about Talmud professors at Hebrew University would impress the Cannes film festival? Here is one fine review. Israeli writer-director Joseph Cedar’s last feature, the Oscar-nominated “Beaufort,” was a tense war movie about the 2000 South Lebanon conflict. His latest effort, “Footnote,” involves a much more personal war, in which the opposing sides are a father and his grown son. In Cedar’s dark comic fable, bookish eccentrics pit their egos against each other on a shrewdly composed battlefield where the only potential casualty is self-esteem. Cedar’s screenplay follows a tale two of Shkolniks: The aging Eliezer (Israeli comic Shlomo Bar Aba), a veteran Talmud professor at Hebrew University, and his middle-aged son Uriel (Lior Ashkenazi), a more established researcher in the same field. From the first scene, Eliezer sulks in his son’s shadow, as the younger Skolnick accepts an award while his father watches from the audience. Cedar quickly explains the context with an introductory bit that surveys both of their backgrounds, aided by words on the screen and a deadpan voiceover seemingly imported from Woody Allenville. Like Allen’s best creations, Eliezer and Uriel harbor neuroses that run deep. Liturgy | NYC @ St.Vitus Bar | 06 May 2011 from (((unartig))) on Vimeo. This Liturgy really is not Theology. It's a Brooklyn band. "Brooklyn-based Der Zeitung, a religious newspaper for the borough's ultra-Orthodox Jewish community, has a longstanding policy of not printing photographs of women, saying they are "sexually suggestive." 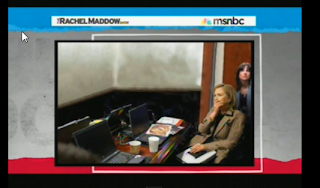 When tasked then with printing the famous "Situation Room" photograph, which features Secretary of State Hillary Clinton and Director for Counter-terrorism Audrey Tomason, the paper simply edited the photo to remove both women, thus sparing the Orthodox community the danger of being seduced by Clinton's coquettish pose and Tomason's coy glances." 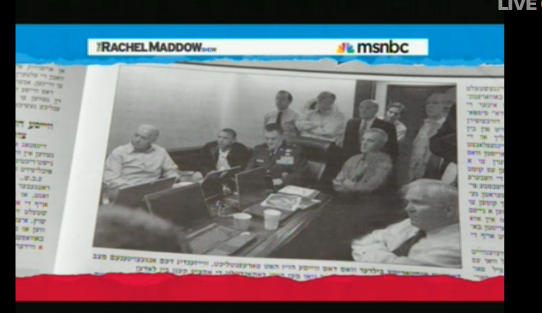 All of this "news" made the Rachel Maddow show. Not what Mr. Boehner had in mind. From the Times, Critical Letter by Catholics Cites Boehner on Policies by LAURIE GOODSTEIN. More than 75 professors at Catholic University and other prominent Catholic colleges have written a pointed letter to Mr. Boehner saying that the Republican-supported budget he shepherded through the House will hurt the poor, the elderly and the vulnerable, and that he therefore has failed to uphold basic Catholic moral teachings. The letter writers criticize Mr. Boehner’s support for a budget that cut financing for Medicare, Medicaid and the Women, Infants and Children nutrition program, while granting tax cuts to the wealthy and corporations. They call such policies “anti-life,” a particularly biting reference because the phrase is usually applied to politicians and others who support the right to abortion. We've been unable to post this Times article for a day -- Google's blogger had a major outage. …The case against Mr. Demjanjuk involved some 15 transport trains known to have arrived between April and July 1943 from the Westerbork concentration camp in the Netherlands, carrying 29,579 people. Prosecutors initially charged Mr. Demjanjuk with 27,900 counts based on the theory that some must have died in transit or been spared for a time to work at the camp. By the end of the trial on Thursday, that figure had been revised to 28,060 counts. Some 250,000 Jews were killed at Sobibor, most of them poisoned with exhaust fumes. Mr. Demjanjuk was convicted and sentenced to death in Israel in 1988 as the infamously sadistic Ivan the Terrible of Treblinka, only to have his conviction overturned in 1993. He was freed by Israel’s Supreme Court after evidence surfaced suggesting that another man was most likely to have been Ivan the Terrible. Speaking to the German news agency on Thursday, Efraim Zuroff, the chief Nazi-hunter at the Simon Wiesenthal Center, said the organization was “very satisfied” that Mr. Demjanjuk had been sentenced to a prison term. The court’s decision “sends a very strong message that even many years after the crimes of the Holocaust, perpetrators can be held to account for their misdeeds,” he said. Yes, as we have said from day one of the scandal, Bernie Madoff is a Jew. Using the opportunity afforded her by the release of a new book by a New York Times reporter (Diana Henriques, “The Wizard of Lies: Bernie Madoff and the Death of Trust ”), Jane Eisner of The Forward now reminds us that Madoff's biggest investors and funnels were also Jews ("The Jewish Roots of Madoff's Crime: A Quartet of Investors Bestowed His Credibility"). She invokes the names of the best known members of the mob, Merkin, Chais, Levy, Shapiro and Picower (somehow she forgets to mention the European funnel, Sonja Kohn). Yes they are all Jews. We do subscribe to the "better we should condemn them" theory, and have been vocal about their misdeeds in this blog. But we do not seek meaning or moral lessons in this grand mess. Eisner does start to do that and comes up short in our estimation. Perhaps by asking more questions we could have avoided the mess, she mulls. No, we say. The disaster could have been averted by at the least refusing to give money to the man and at the best by turning in the crook to the authorities. Questions are entertainment, nothing more than a diversion. Most puzzling to us is what in universe Eisner means when she concludes based on the new book that we need to realize, "the point that the Madoff debacle was also a communal failure." Okay, realize away, knock yourself out with realizations. Raise you consciousness too, perhaps get yourself indignant. Have a blast why don't you! After all the realizing that we can muster, here is the outcome. Madoff was Jewish. He had lots of Jewish friends. He gathered up lots of money. He was active in his fabulous Fifth Avenue Synagogue. He was treasurer of the holy Yeshiva University. He gathered up more money from Jews and gentiles. Madoff was a crook. Some of the people who invested with him knew he was crooked. They did not stop him. They gave him or got for him, more money, and more money. And when the economy tanked, his schemes all failed, lots of money went missing, and he is in jail now. Why is this a communal failure and why does Eisner conclude that, "the only prayer we have of escaping another scandal is to recognize that uncomfortable truth"? Uncomfortable truth? Prayer? There is no truth to recognize amidst all the lies, uncomfortable or otherwise. Prayer or no prayer, there will be other scandals, other lies, other human-made disasters, whether we tell about, recognize or realize what happened long ago in all of the mythic misdeeds of the book of Genesis or just recently in the crimes of the book of Madoff. Stories of misdeeds may entertain, they do not change a thing. FWIW here is Eisner's concluding riff. ...Perhaps, if Chais, Levy, Shapiro and Picower had been more skeptical, they might have been able to curtail Madoff’s egotistical ride. Perhaps if the boards at Hadassah and Yeshiva University and the American Jewish Congress and other worthy causes had rules in place to safeguard their investments, they might not have raised as much money as they did in the fat years, but they might have staved off the lean ones —or, in the case of Congress, stayed alive. Perhaps if more people questioned Bernie Madoff rather than assuming that his luxurious lifestyle anointed him with integrity, this catastrophe might have been avoided. 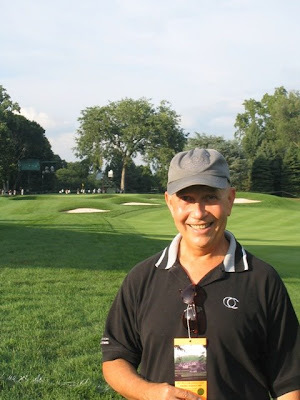 Irv Dubow was one of the regulars that we used to play golf with at the Braemar Golf Course in Edina Minnesota. He was pretty good amateur golfer, with about a six or eight handicap. He shot consistently in the high seventies. Irv was also an inventor. He devised and patented an amazing "Golf ball retrieving device." We are not sure if he ever got it produced and marketed. One day, years ago, we asked Irv how we would know when we too could call ourselves an accomplished golfer. Irv thought for a few moments and said, "After a round of golf, if you talk about and think about the few good shots you had, you are still a beginner and should not consider yourself an accomplished golfer. "However after eighteen holes of golf, if you talk about and think about the few bad shots you had, then you know that you are no longer a beginner and accordingly you may consider yourself an accomplished golfer." Instantly we knew that he was right and that he was a golf sage. We've wondered time and again since that day if the same goes for our other endeavors of life in general. No doubt, the Kentucky Derby is the most famous horse race we know of, perhaps the most famous in the world, surely one of the premier sporting events on the planet. We are happy to report that a horse belonging to our Teaneck neighbor, Mr. Zayat, has placed (second) at the race. It's the second time that a Zayat horse has come in second. That is a darned good record. Zayat is one of the most fascinating people in racing... Though born in Egypt, he is Jewish, and is so observant that during Passover, for instance, there were days he would not return calls, owing to religious custom. He is a passionate racing fan, not just as an owner, but as a bettor. Four summers ago, after a dustup with Del Mar management over its installation of Polytrack, Zayat took his horses out of there, but Del Mar's management was equally concerned about him leaving the area and not putting his money through the windows. We wish Zayat the best; Next year in the winner's circle. Some articles are so content-laden that they ought to be books. The author goes on to explain some of the initial details of this comparison. We want to hear much more about this topic and look forward to the author's book on the subject, which we hope is in the works. In 2008 Karen Armstrong undertook an effort to spread the word on a "Charter for Compassion" among the world religions. FYI, TED is "a nonprofit devoted to Ideas Worth Spreading. It started out (in 1984) as a conference bringing together people from three worlds: Technology, Entertainment, Design." TED, "was established in 1996 by Chris Anderson, who was at that time a magazine publishing entrepreneur." The goal of the foundation is to foster the spread of great ideas. It aims to provide a platform for the world's smartest thinkers, greatest visionaries and most-inspiring teachers, so that millions of people can gain a better understanding of the biggest issues faced by the world, and a desire to help create a better future. Core to this goal is a belief that there is no greater force for changing the world than a powerful idea. The charter for compassion sponsored by TED and Ms. Armstrong can be found here. It propounds, "The Charter for Compassion is a document that transcends religious, ideological, and national difference. Supported by leading thinkers from many traditions, the Charter activates the Golden Rule around the world." In our view of religious typology, compassion is indeed central to one of the six archetypes of Judaism, the meditator. It is, in our scheme of analysis, diametrically opposed to the core value of another of our ideal categories, that of the celebrity-monotheist. Accordingly, we do not fully agree that the world's religions are, "based on the principle of compassion" as Armstrong states in her wonderful 2010 book, Twelve Steps to a Compassionate Life , page 24. That value is an important one among many others in Judaism and in most of the religious traditions that we know. But we do agree that we ought to press forward towards a world more full of compassion and less populated by the religion-based triumphalism that feeds on, "pet hatreds and prejudices that give us such a buzz of righteousness (p. 23)." Bravo to Ms. Armstrong for her efforts that we need to revisit more vigorously and frequently in these days of religious egotism. George W. Bush, the cowboy, hunted down and sent Saddam Hussein off for trial, to meet vengeance following the rule of law, followed by a sanctioned hanging. Barack H. Obama, the moral beacon, ordered a hit on Osama bin Laden, hunted and killed him, no trial, no rule of law, to meet pure raw vengeance, with a bullet to the head. Possibility one: everyone wants to be someone else. Possibility two: what we think about our leaders is diametrically wrong. 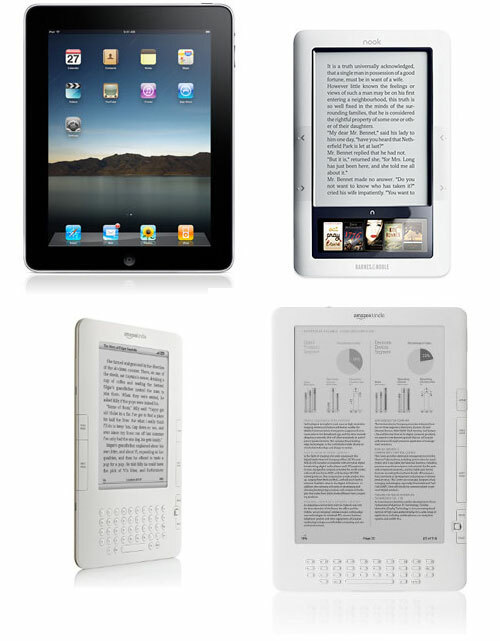 In a dramatic article, eWeek declares that e-readers like Kindle and Nook are destroying the publishing industry. They make a good case. Even so, the transition will take more time than they imagine. Many people will be slow to abandon their paper books. Amazon’s Kindle, Barnes and Noble’s Nook, and other e-readers might dangle the prospect of convenience for millions of bibliophiles around the world, with their light weight and instant access to whole libraries of e-books, but a new analyst report suggests the devices could eventually prove bad news for the publishing industry as a whole. “The book publishing industry has entered a period of long-term decline because of the rising sales of e-book readers,” reads an April 28 research note from IHS iSuppli, which predicted a decrease in book revenue at a compound annual rate of three percent through 2014—a reversal from the period between 2005 and 2010, when revenue rose. 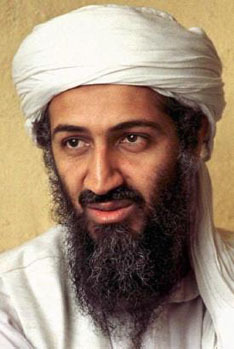 The death today of Osama bin Laden marks the end of one terrible Cosmic War of Religious Terrorism. Previously we taught about this subject in our course on Religious Terrorism, War and Violence, as summarized in our post here below. What is a cosmic war? The world is at war, Osama bin Laden proclaimed in a fatwa delivered in February 1998, months before the bombing of the American embassies in Kenya and Tanzania--bombings he was accused of masterminding and financing. Bin Laden wanted to make clear that it was not he who started the war, however, but Americans, through their actions in the Middle East. These had constituted, in bin Laden's words, "a clear declaration of war on God, His messenger and Muslims." His own acts of violence, by implication, were merely responses to a great ongoing struggle. On that basis, and in compliance with God's order, we issue the following fatwa to all Muslims.